It's hard to take this fragrance seriously. Trying to cash in on the surge in popularity of perfume during the past few years, Houbigant released this fragrance in 2010, giving it the same name as their original Fougère Royale from 1882. It was a cynical move on their part, by marketing it as a resurrection of what they claim was the very first fougère fragrance, releasing it as a "Parfum", slapping on it a ridiculous price tag of $170 per bottle, and expecting all the vintage and niche perfume snobs to fall for it and eat it whole. I wouldn't be criticizing this fragrance as much if only they named it differently, even something like "Fougère Moderne". By naming it as they did, however, it seems to me that Houbigant expected perfume enthusiasts to look at it as a sort of time machine, where they could go back in time and get some idea of what Fougère Royale smelled like back in 1882. I have to admit that I've never smelled any versions of FR other than this 2010 release. However, I've smelled the two fougeres from the same time period to which Fougère Royale is always compared, Trumper's Wild Fern and Penhaligons' English Fern, and this new Fougère Royale smells nothing like either of them, even remotely. In fact, it doesn't smell like a classical fougère at all. This is nothing more than a modern styled niche fragrance that merely smells okay. It's basically a powdery, heady floral scent with some herbal and woody notes to embellish it. It smells great for the first fifteen minutes or so: spicy, woody and rich, much like the way I remember Chanel's Egoiste smelling back in the early 90s. 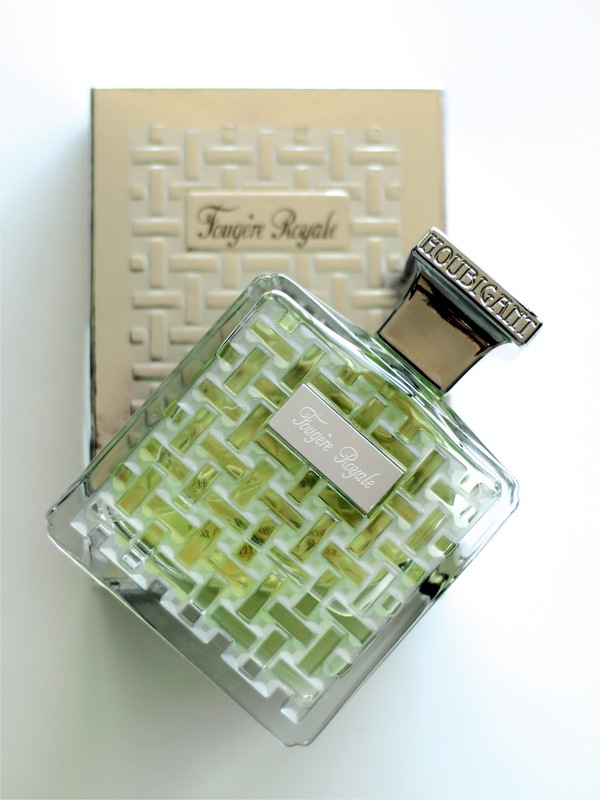 Unfortunately, Fougère Royale's scent deteriorates the longer you wear it. The headiness of the floral notes comes through after the top notes evaporate, and there's also a shrill, synthetic smelling wood or herbal note that cuts through everything for hours, and throws the entire scent off balance. The fragrance smells more synthetic as time goes on, and by the second hour, it's just plain annoying. This is a thoroughly modern scent, and I can't imagine any fragrance, never mind a fougère, smelling anything like this back in 1882. Therefore I have a hard time looking at this as a legitimate re-release of Fougère Royale. Where's the strong lavender note? It's not an awful perfume, but just a decent one. However, when you're paying $170 for a bottle, you're entitled to expect perfection, not this. With Fougère Royale, you're paying $170 for a pretty bottle. This is a rip-off. Wow! I think yesterday someone started a post on BN about how great this one is! The price and the fact that I am not a huge fougere fan would preclude me from sampling it (unless someone sent me a sample in a swap as an extra) in any case. This is why I have to turn down sample swap offers these days; I hardly ever find one that is "bottle worthy." In this case, it sounds like they tried to reinvent the wheel by making one in the shape of a square. LOL. It's not a bad fragrance, even though it's not my style. The problem is that Houbigant sets certain expectations by calling it Fougere Royal - no one can deny that, and Houbigant of course knows that. Obviously you'd expect this to smell like a classical fougere, and that's not what you get at all. This is a case where I don't believe you can simply judge the fragrance on its own merits. Even if I were to judge it on its own merits, I still don't like it very much. It's not very well balanced and it has an annoying synthetic smelling base note that ruins it for me. It still gets a 6.5/10 from me, no matter how you cut it. I totally agree, the kindest thing I can say about FR is that it's a shallow exercise in marketing. An OK scent at $70; all the fluff and hoohah makes it irritating and sets my teeth on edge. Yes, if this were a $70 fragrance and if it weren't called Fougere Royale, I'd be kinder about it; even if I don't like it, $70 would be a fair price for Fougere Royale. However, I don't see myself giving it more than 6.5/10 as a rating. I just don't like the way it smells very much.